We won't email you more than once a week. Thank you for subscribing to Kimberton CSA's newsletter! Kimberton CSA is a ten acre biodynamic, organic mixed vegetable farm. The first CSA in Pennsylvania, this farm was started in 1987 by the Kimberton Waldorf School and interested members of the community looking for ways of doing business that would best support the local community, local agriculture and provide for the needs of everyone involved, including those of our environment. We are passionate farmers who care deeply for the land and the people who thrive off of it. Our goal is to provide the healthiest organic produce directly to our members, while using biodynamic farming practices to protect our soil, our people, and our earth. Kimberton CSA is located on a beautiful 10-acre plot of land, adjacent to Seven Stars Farm. In addition, we serve customers locally at the Lansdale Farmers' Market and the North Front Street Farmers’ Market. Organic farm-to-table produce is as simple as it sounds! Purchase a share at the beginning of the season with a credit card online or with a check by filling out the 2019 Commitment Form below! Pick up your share of organic vegetables once each week! Our conveniently located farm has flexible hours to fit your schedule. Grab and go or stay and explore! Enjoy the freshest produce you've ever tasted! 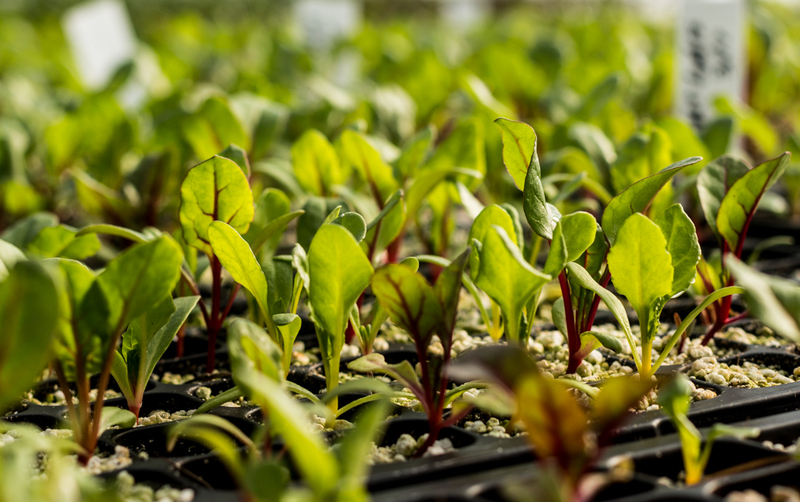 Each share will provide you with freshly-harvested seasonal, organic produce for 6 months. To purchase a share online, select your share type and use our online sign-up and checkout! Printable forms for checks/payment plans are also available below. A full share at Kimberton CSA! Pick up fresh, organic produce every week ($35/week). Approximately 12-14 items plus access to U-Pick crops. Check out What's In a Share for more details! Find a friend and share a share! You will each get 1/2 of a Full Share, freshly harvested each week, and access to U-Pick crops on alternating weeks, for the entire 26-week season. Want to dip your toes in CSA life? Pick up a full share of fresh, organic produce every other week. Approximately 12-14 items plus access to U-Pick crops. Thank You for choosing Kimberton CSA! Print out and complete the Commitment Form to buy your 2019 CSA share today! We offer multiple share types and payment plans to get local, organic produce into as many kitchens as possible.